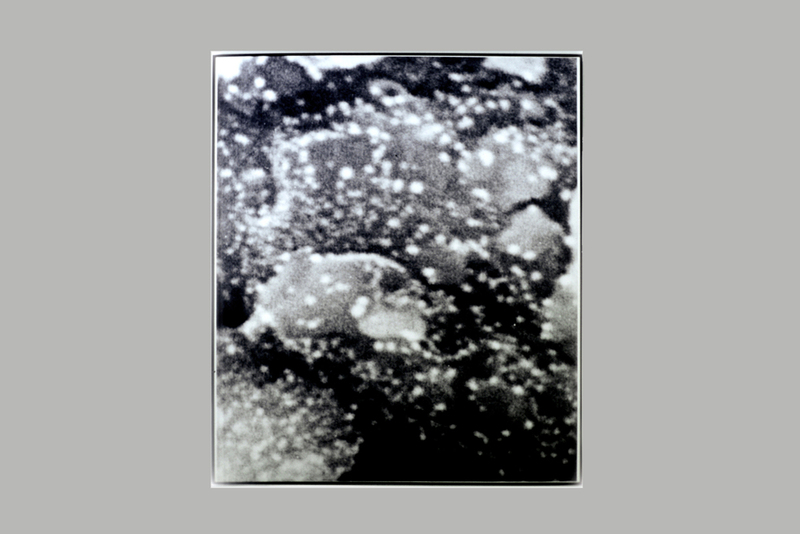 “IHere you will find a large electron microscope portrait inside a dust particle magnified twenty million times. This large topographical landscape portrait is intended to operate as a reference point of sorts. 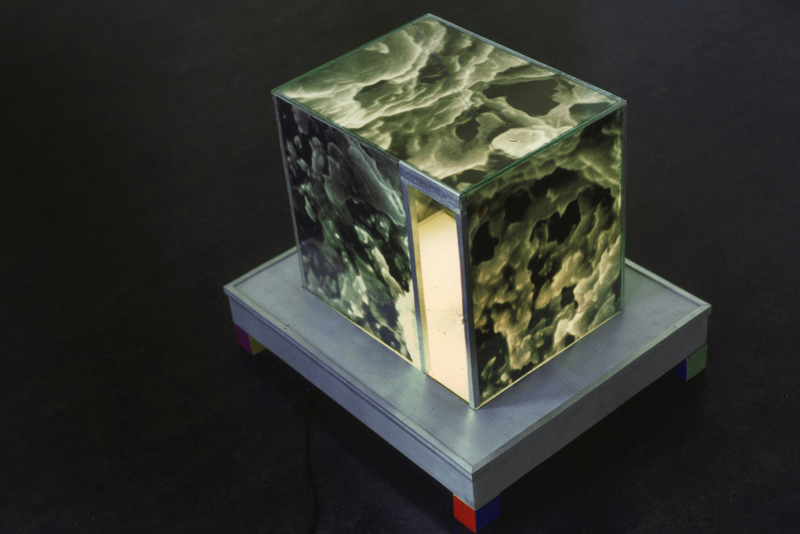 Accompanying this photo is a model 1/12th the inside of a dust particle magnified one million times and is represented as an illuminating house which through the isolation of the form becomes a small building within the space itself, and in turn is able to play off of the prevailing architecture which can be seen through the windows directly in front of the object.